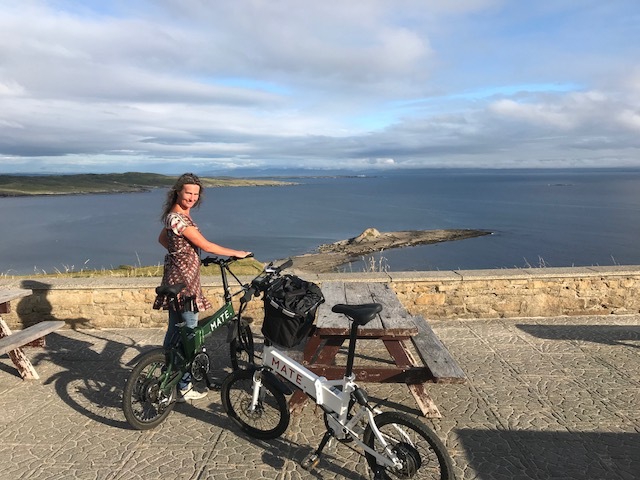 PS 7/16: Randy Repass sent the photo below from Donegal, Ireland, noting that the two Mate ebikes assisted Janey and he to make “the fully uphill” 8k climb from their 50’ classic Irish trawler Whaleheart to a nice restaurant, no sweat. 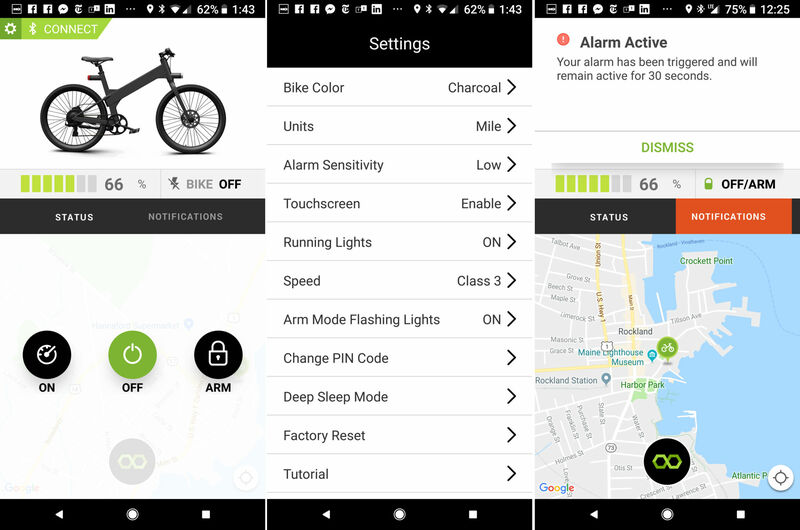 Glad to hear your success with ebikes. I too love them. 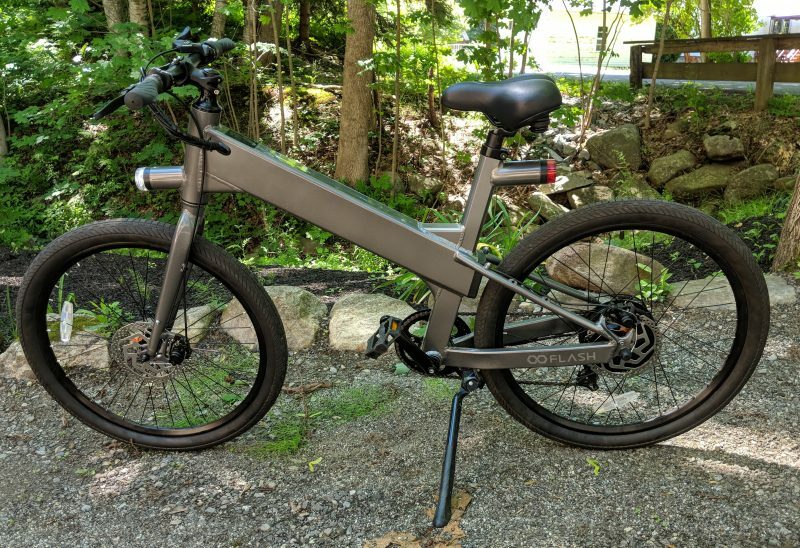 I have 2 folding bikes from FiField(in MA) that I got from a Kickstarter campaign. 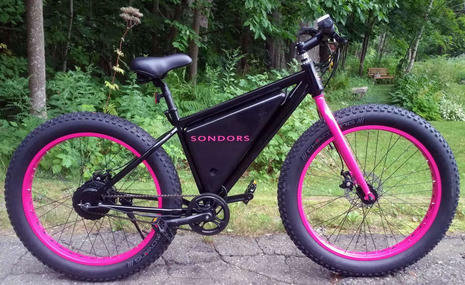 As well as 2full size road bikes from Sondors and FLX again Kickstarter deals. The folding bikes fit well in the cockpit of our Nordic Tug. 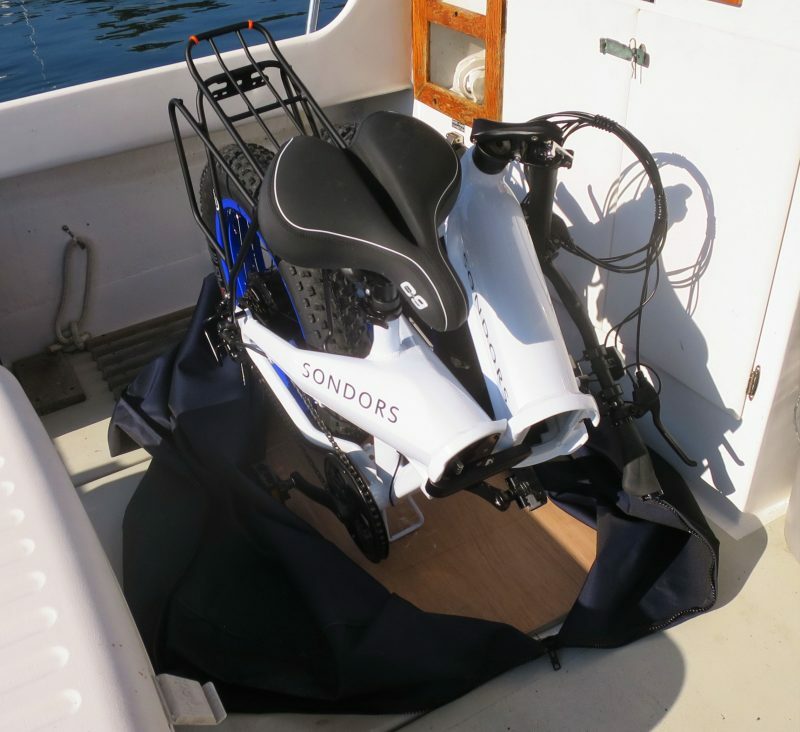 I too have an ebike which i take with me on my boat. It certainly has extended my range in the various destinations i travel to. I have the room so I don’t need a folding bike. I also have a crane to load and off load the bike. I have modified the skiff to fit a bike rack. 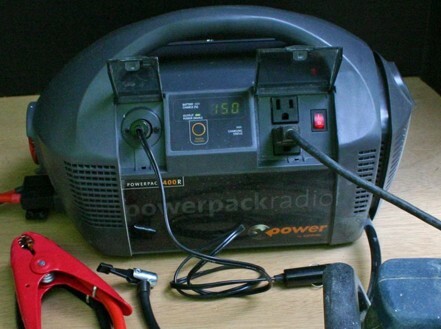 it has a 750 watt motor and weighs 65lbs. At my age I do not attempt beach landings. 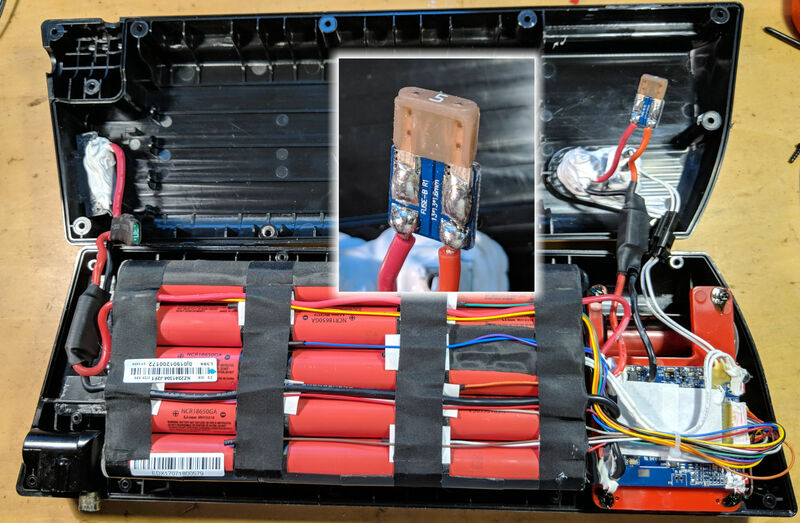 A nylon bike cove protects it from the salt air. I occasionally use some anti-corrosion spray. It has cable brakes, i would have preferred hydraulic brakes. With a basket and a book bag, I can carry well over 100 lbs. of groceries. My electric bike is wonderful for reprovisioning and a joy to go exploring on. I consider it one of the best purchases i have ever made. 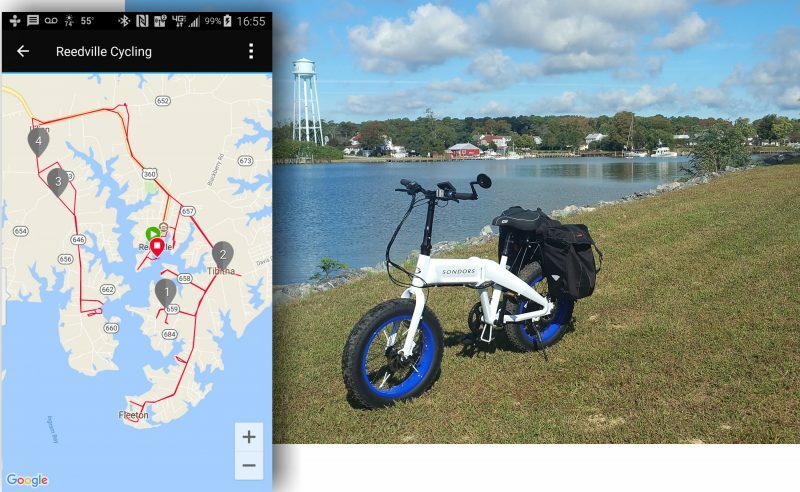 I also supported a very successful ebike indiegogo campaign in the “Mate” foldable ebike. Very well made, and works a dream where we’ve been testing them and enjoying them immensely here in Donegal Ireland. My partner Janey and I made a fully uphill trip for 8km to dinner the other night without breaking a sweat (not nice to arrive a nice restaurant sweaty!). Loving the fun and ease, but also the option to ride “e free”. Thanks for the great posting! 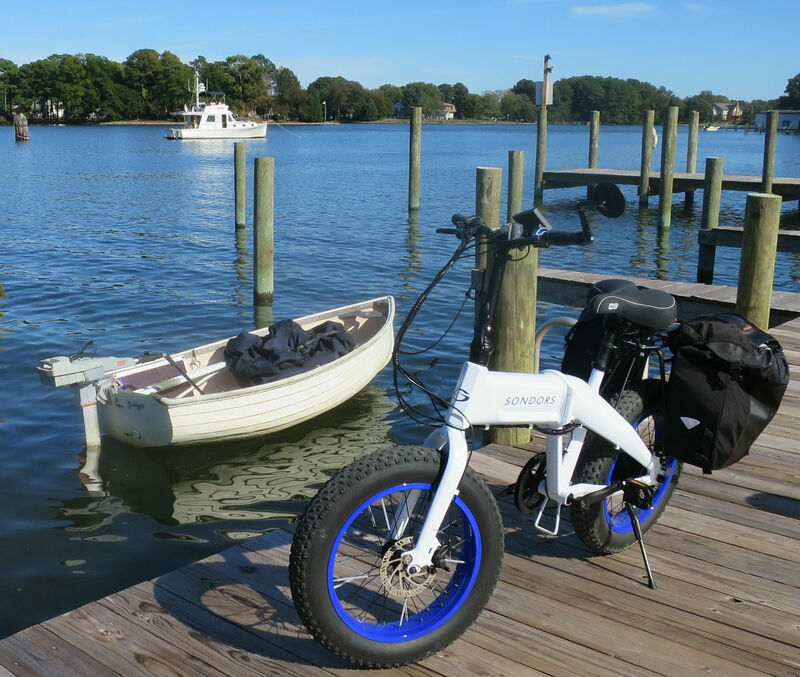 The Mate X 750S looks like a whole lot of boat ebike for $899 (plus shipping) on Indiegogo. 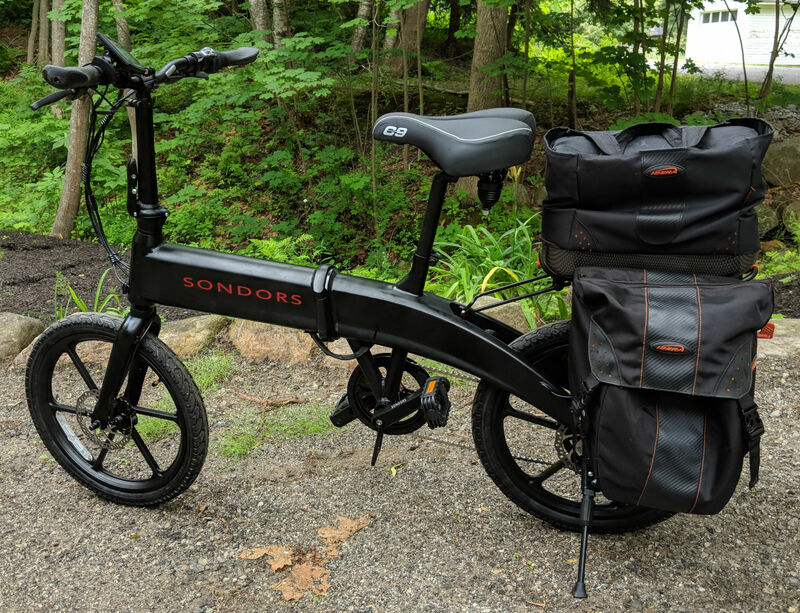 It’s a lot like the Sondors Fold X but with bigger motor plus full suspension. But it’s also heavy like the Fold X, and you won’t get it until October (if they make their schedule). The mate crowd are well on it. They’ll deliver near that date if not by that date. I dare say this really is an unmissable opportunity if you’re in the market for an ebike right now. Great write-up. 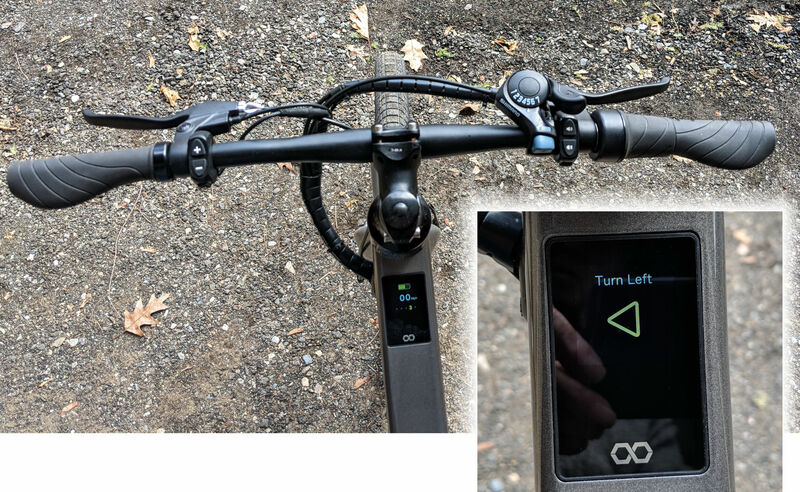 Nice to see that e-bikes are evolving as truly useful machines (as opposed to the e-scooter lookalikes that proliferate. 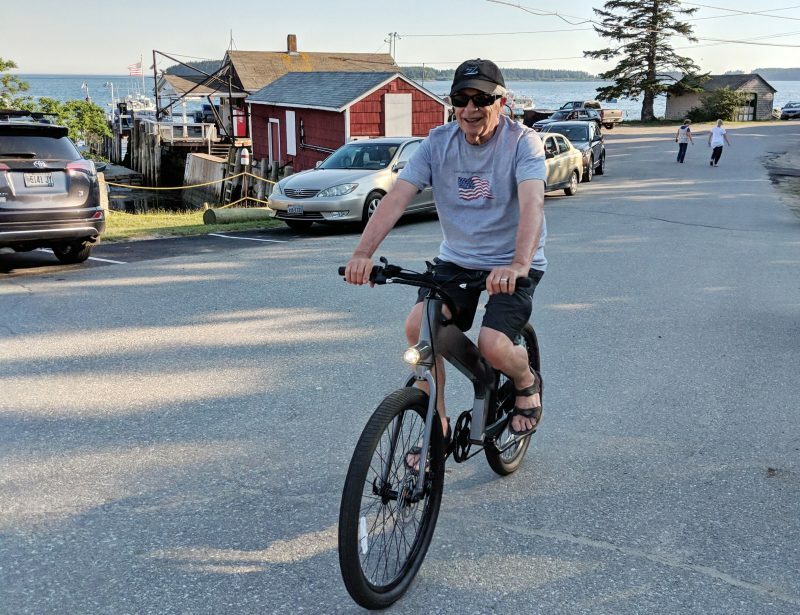 I briefly owned a cheap Schwinn-branded full-size e-bike as an experiment, but it wasn’t that fun to ride. 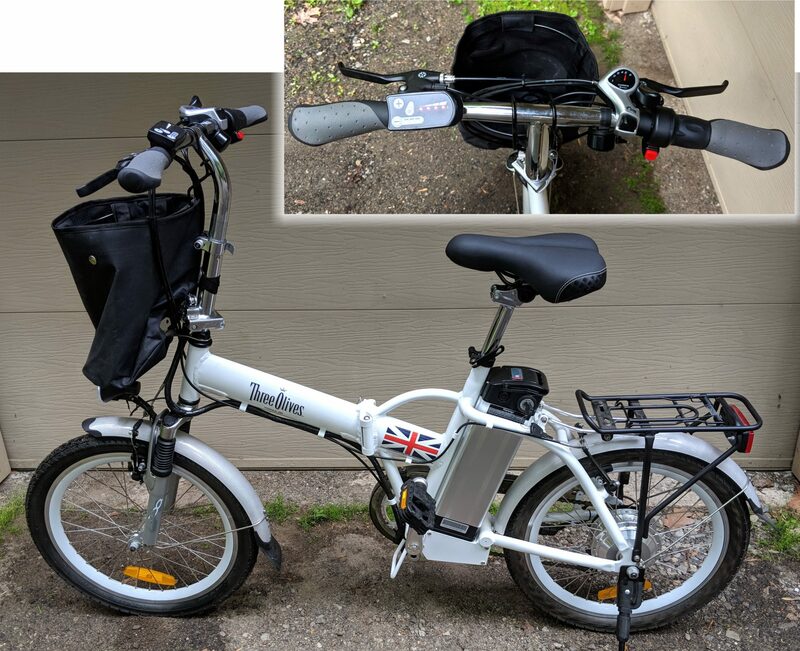 My joints are holding up, so I’m commuting to work now on a conventional bike, and I just bought an inexpensive aluminum-framed folding bike… but it’s nice to know that there are decent e-bike options should I eventually need one. How about a folding carbon ebike that weighs about 29 pounds and may be a heck of deal at $999 via Indiegogo campaign? 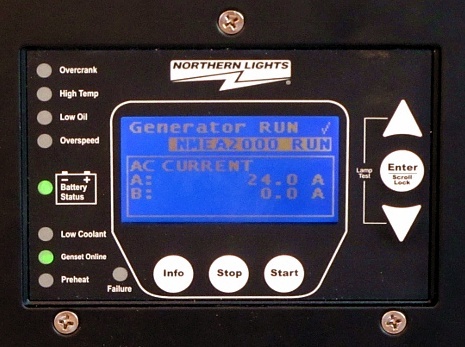 I’m leery about 16-inch wheels and think that the 350w models are plenty powerful enough. 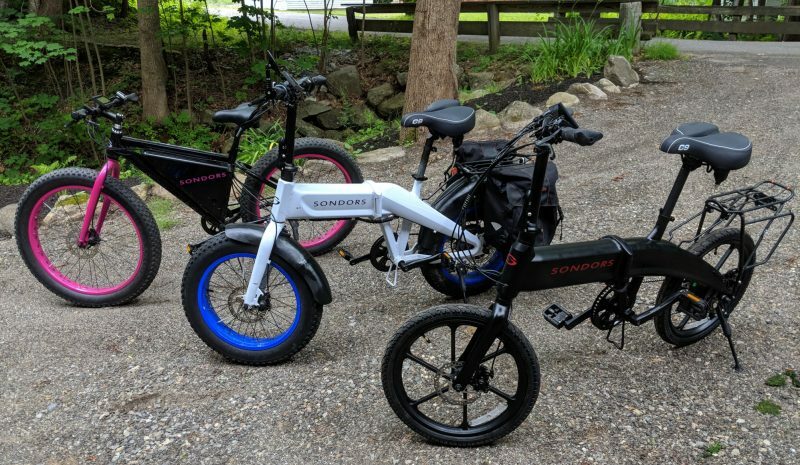 Also, this Indiegogo campaign has just started and the ebike market is frothy; looks like excellent deals, but take care. 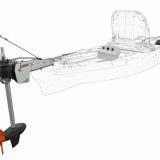 Personally I love the concept of the EV Corsa, super light magnesium frame, 350 or 500w motor, I ordered two for my boat. 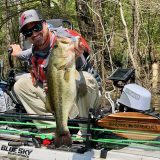 Excellent blog!